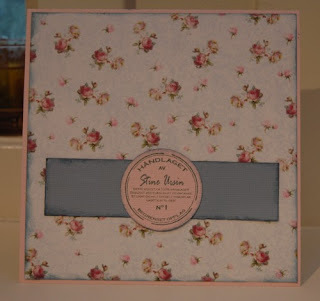 I have been wanting to join in on the just magnolia challenge for ages, and I finally found the time to make a real card again! 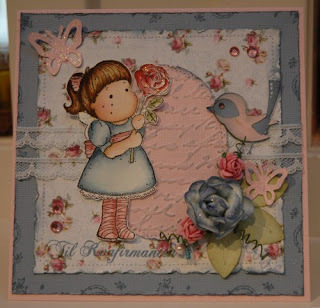 Had a lot of fun with the lovely sketch by Bev, and made a girly card! 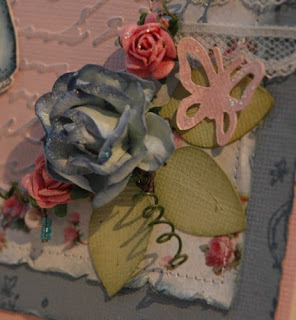 Mulberry roses from Papirloftet, leaves are cricut Doodlecharms and the lovely butterfly is from cricut - Every day paper dolls. On the inside I have used the cute Edwin. 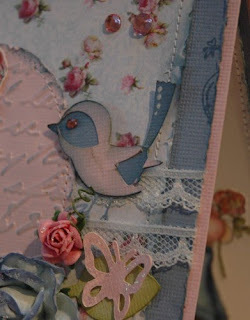 Like on the outside all panels are sown on to the base. 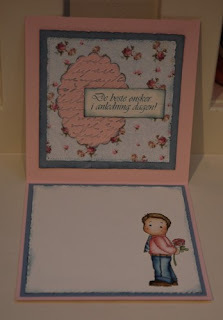 All edges are also scraped (with a nail file) and inked with distress ink. 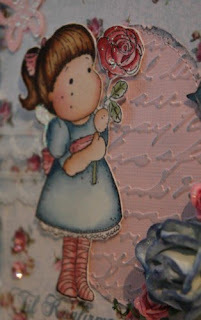 On the backside, more of the beautiful rose paper from Papirdesign, and my own signature stamp from Sscrapmagasinet! SOUS MAY 7th - "Oldebesta"